Confirming the Faith: What does this mean today? The Lutheran Church—Missouri Synod’s Youth Ministry Symposium is designed for people who are serious about youth ministry. It offers a time for learning, professional growth, refreshment and worship. Professional and lay workers alike will be challenged and equipped for doing youth ministry in a postmodern world. Location: Embassy Suites Hotel, St. Charles, Mo. Lodging: The Embassy Suites Hotel offers a discounted group rate, and room reservations include daily hot breakfast and happy hour reception. The special room rate is available until Dec. 30 or until the group block is sold-out. Questions? Please contact LCMS Youth Ministry at youth.ministry@lcms.org. 1:15 p.m. — From the Trenches: Wrestling with Confirmation — Mary Stafford, DCE, Brookfield Lutheran Church, Brookfield, Wis.
10:00 a.m. — Session 4: The Adolescent Brain — What Are They Thinking? — Rev. Dr. John Oberdeck, Concordia University Wisconsin, Mequon, Wis.
12:30 p.m. — Session 5: Family as Confirmation Agent — Bringing the Family into the Process — Dr. Dave Rueter, DCE, Concordia University, Irvine, Calif.
2:00 p.m. — Session 6: Family as Confirmation Agent — Bringing the Whole Family of God into the Confirmation Process — Dr. Dave Rueter, DCE, Concordia University, Irvine, Calif. So you love Jesus: Now what? How do we come alongside youth on their journey to not only know about Jesus but to grow in faith in Jesus as their Lord and Savior? Sometimes we are missing the mark in our attempts. What works for you? What works for others? It comes down to one disciple to another sharing life on life. It’s not easy some days, but definitely worth it — eternally! What every Christian should know about faith-building and faith-sharing based on Christian apologetics. The 2013 Synod convention asked the LCMS Commission on Theology and Church Relations (CTCR), working together with the president’s office, to prepare a revised and updated version of Luther’s Small Catechism with Explanation. The 1943 version (which many of us old fogies remember well) lasted almost 50 years (until 1991). Now the church is asking for a new version less than 25 years later. Why? What? How? Who? When? Joel Lehenbauer, executive director of the CTCR and chairman of the Catechism Revision Committee, has all (or most, or some) of the answers — and is eager to hear your questions and receive your input on this project. Take a look at the “first generation of the 21st century,” the oldest of whom are in confirmation classes. What is their generational type? What are the characteristics of this new generation? What do we need to know to minister to them, to help them grow in faith and to equip them to be people of God for life? What about the learning styles that reach them? Knowing these things now will help keep them connected through high school and beyond. The answer to this question remains a mystery, but to the question “How are they thinking?” neuroscience continues to provide new and surprising answers. Does the adolescent brain function differently from the adult brain? If so, in what ways? Do girls’ and boys’ brains respond the same or are there differences that ought to be taken into account? Do our instructional methods work for or against adolescent brains when we teach confirmation? The human brain ranks high on the complexity index of all our Creator has made. What do we know about it now that we might not have known before? The family is critically important when it comes to the faith formation of children. It is essential that parents have a part in confirmation. But what should that part be? How can church leaders get parents to buy in? Drawing on current research, this session will help equip church leaders to better structure the role of parents in confirmation and provide the necessary data to support doing so. Is Confirmation Sunday the only time the members of your church hear about confirmation? How can we better connect the whole family of God to the catechizing of our young people? Building on the work for his book Teaching the Faith at Home, this session will provide practical ideas for connecting the whole congregation to the confirmation process. 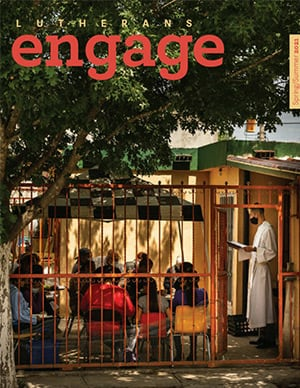 Confirmation students and their families are more pluggedin to technology than ever before, and that can lead them to disconnect from traditional catechesis. In order to meet students and families where they are, let’s consider expanding our confirmation programs to utilize today’s technology, like online video, social media, phone apps and more. Confirmation also has the unique ability to encourage students and families to disconnect from their screens and connect to the needs around them. 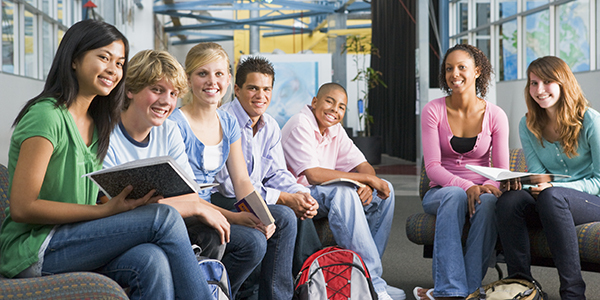 Service work, deliberate relationship building and other relationally-based activities can help students and families connect to confirmation and each other in a whole new way. Mary Stafford, DCE, has served as a director of Christian education with youth and families for 25 years. She currently serves at Brookfield Lutheran Church in Brookfield, Wis. Stafford is a graduate of Concordia University Chicago, River Forest, Ill., and holds a master’s degree in organizational leadership. In her free time, she enjoys her dogs, Moose and Minnie; biking, hiking, reading and wine with friends. Dr. Jan Lohmeyer is presently serving as a Christian apologetics professor at Lutheran High School North in Houston, Texas, and as an adjunct education professor at Concordia University Texas, Austin, Texas. He also serves on the catechism review committee for the LCMS. Lohmeyer has taught at every level in the education system and has been a principal of four schools. He teaches Christian apologetics in various churches and speaks at various public venues on subjects ranging from creationism to faith building. Lohmeyer is married to Rhonda. Together they have three sons. He loves all sports, currently plays tennis and golf, and has coached football, basketball, baseball, golf and tennis. Rev. Dr. Joel Lehenbauer has served on the executive staff of the LCMS Commission on Theology and Church Relations (CTCR) for 25 years, and as its executive director since 2008. He served as pastor of St. Paul Lutheran Church in Hillsdale, Mich. from 1985 to 1990. 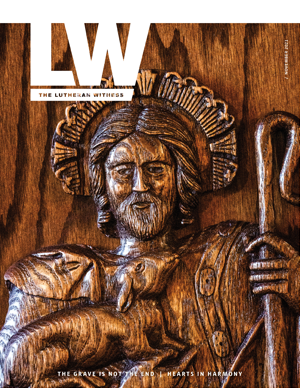 He also serves as chairman of the CTCR-appointed drafting committee that is preparing a revised and updated version of Luther’s Small Catechism with Explanation at the request of the 2013 LCMS convention. He has a special interest in current issues, challenges and opportunities in areas involving the intersection between church and culture. Joel and his wife Hope live in Union, Mo., and have four grown children and two grandchildren. Rev. Dr. Terry Dittmer serves as the youth ministry specialist for the LCMS Office of National Mission. He has been on the Synod’s Youth Ministry staff since 1979, when he was called to direct the Synod’s youth organization, Lutheran Youth Fellowship (LYF). He has written and/or edited eleven youth ministry books and numerous articles and composed more than 40 hymns and songs, including “Brothers and Sisters in Christ.” He is a graphic artist and has served as a planner for all 13 LCMS youth gatherings. He is a huge fan of generational history and believes that if we understand the characteristics of the generational archetypes, we can use the theories to our advantage when it comes to confirmation classes, Bible studies, youth programs, etc. He is married to Cherie. They have five adult children and five grandchildren. Rev. Dr. John W. Oberdeck, M.S., is professor of theology and director for lay ministry at Concordia University Wisconsin, Mequon, Wis. He is a 1979 graduate of Concordia Seminary, St. Louis, and received his doctorate in educational psychology from the University of Missouri – Columbia in 1999. Oberdeck served parishes in central and southern Illinois from 1979 to 1989. From 1989 to 2002, Oberdeck served in the practical department on the faculty of Concordia Seminary, St. Louis. In July of 2002, Oberdeck accepted the call to Concordia, Mequon. Besides his administrative duties, Oberdeck teaches courses in theology and youth ministry. He is the author of the 2010 CPH book Eutychus Youth: Applied Theology for Youth Ministry. Dr. Dave Rueter, DCE, serves as the DCE program director at Concordia University, Irvine, Calif., as well as the youth and family ministry facilitator for the LCMS Pacific Southwest District. Dave has served churches in Texas and California. He and his wife enjoy camping as a family with their two sons. Dave remains active in his church, teaching a Sunday morning Bible study as well as volunteering with the high school youth ministry. He is the author of a forthcoming book from CPH, Teaching the Faith at Home: What Does This Mean? How Is This Done? Julianna Shults, DCE, is a program manager for LCMS Youth Ministry, focused on long-term service work for young adults. She graduated from Concordia University, Nebraska, Seward, Neb., with a bachelor’s degree in psychology and director of Christian education certification. As a DCE, she has served in Florida and Illinois. Designing, teaching and administrating the confirmation program was one of her responsibilities at both of her calls, and she takes great joy in finding ways for Scripture and Lutheran theology to meet students where they are today. Julianna graduated with a master’s degree in social justice and community development from Loyola University’s Institute of Pastoral Studies in 2013. She has participated in 17 short-term mission trips and facilitated many local service opportunities for her youth and their families. She is a self-proclaimed nerd who enjoys coffee, Sour Patch Kids and Netflix binges. You can find her on Twitter and Instagram @myhumblewalk. Dr. Debbie Arfsten serves as Director of the DCE program at Concordia University Chicago. She is certified as a DCE from Concordia Nebraska and served in parish ministry for several years prior to coming to Concordia in 2004. Debbie’s professional interests include leadership development, Christian education, mentoring and coaching of students, and team ministry. She is an avid traveler and has a particular passion for international travel having spent time in eight countries in Europe and Asia. Her extended time in international travel includes a summer in remote northwest China as a teacher and a three-month stay in Slovakia in 2014 while on sabbatical. In her spare time, she enjoys bike riding, playing the piano, and photography.